Every October, Woodstock turns all red carpet and celebrities as the ever-more-acclaimed Woodstock Film Festival takes over the town. Longtime Chronogram arts and culture correspondent Sparrow reports on four movie highlights from the 2018 festival. 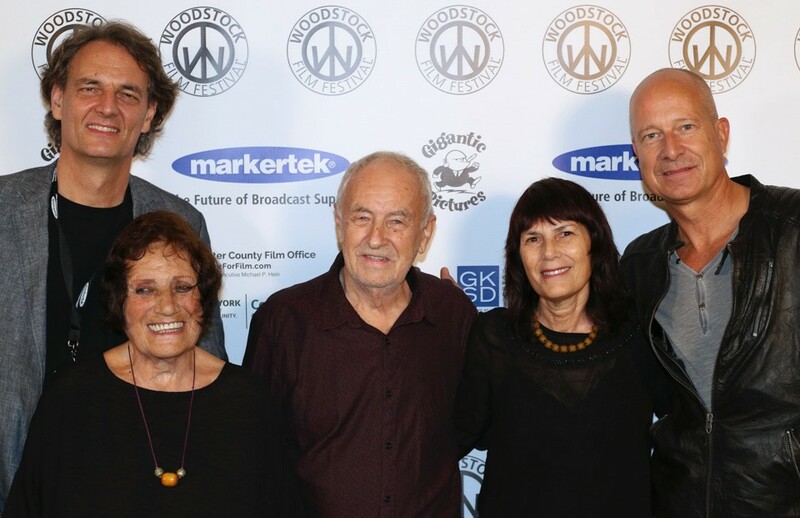 A prophet is without honor in his own country, but Karl Berger and Ingrid Sertso were given a healthy dose of neighborly plaudits on the opening night of the Woodstock Film Festival on Wednesday, October 10. It felt like a Catskills version of the Academy Awards. A crowd packed the Woodstock Playhouse for the new documentary Karl Berger: Music Mind, directed by Julian Benedikt. The best artists in the Woodstock area are musicians: Jack DeJohnette, Dave Holland, Pat Matheny, Tani Tabbal, Marilyn Crispell – and Karl and Ingrid. (They play a type of music that has no fixed name. In the 1960s it was called “avant-garde jazz.” Later the favored term was “free jazz,” then “out jazz.” At the moment the winning phrase seems to be “improvised music.”) Most of these advanced musicians are here because of the Creative Music Studio, a visionary school started by Karl and Ingrid in 1971, with the blessing of Ornette Coleman. Originally Karl was uncertain whether to be a musician or a philosopher, and now, at the age of 83, he is both – part music teacher, part Taoist master. “Usually when people don’t know what to play, they play more,” he explains in the film. “I tell people: ’If you are uncertain, stop playing; just be quiet. Wait.’” His own music has silences, thoughtfulness, meditative slowness – then bouts of passion. In Music Mind we see Karl patiently construct an improvisational orchestra in Stuttgart, Germany powered by the all-knowing percussion of Hamid Drake. Violins, a cello, a flute, a trumpet: Karl directs them all with attentive, precise whimsy. One associates jazz with urban nightclubs, but you might call Berger’s a “jazz of nature.” Benedikt superimposes images of a cresting Catskills stream over surging music, and the metaphor holds. Improvisational vibraphone is like a creek after rainfall: restlessly alive, seeking some invisible, far-off sea. A movie is a play that is performed precisely once. This is particularly true of Socrates, a narrative film directed by Alex Moratto in São Paulo, Brazil. The two main actors, Christian Malheiros and Tales Ordakji, were trained in the theater; this is their first film. Christian is 19, Tales 21. It’s unfortunate that “horror movie” has such a narrow definition. Socrates is a true horror movie, about a 15-year-old working-class boy who, after the sudden death of his mother, descends into the maelstrom of homelessness. Watching each door close on Socrates, one by one, is mercilessly painful. 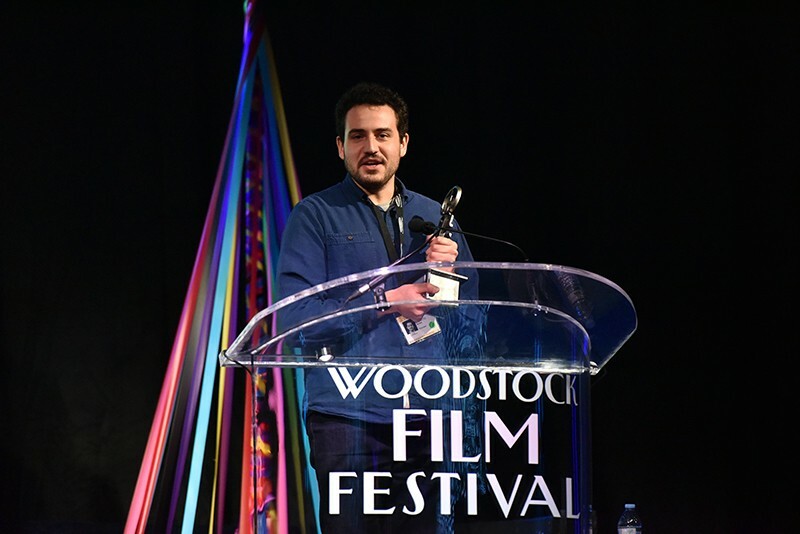 Photo by John Mazlish, courtesy of Woodstock Film Festival. Alex Moratto has a remarkable story. This is his first feature film, at age 29. After finishing film school at the University of North Carolina School for the Arts, Moratto moved to Brazil to work at Instituto Querô, a UNICEF-supported program for poor street kids, teaching them academic skills through filmmaking. Socrates is the first film produced by this program, on a budget of less than $20,000. Sixty teenagers worked on the movie with Moratto: the cowriter of the film is 18-year-old Thayná Mantessa (a young woman). Moratto has found a way to be both an artist and a social innovator. Filmmaker Johnny Boston. Photo by Zev Greenfield, Raw Media Network. In 2016 Flora, the widow of 2030, received word that her husband was about to be reactivated – the first human to be successfully returned from a cryonic coma. The plot has numerous twists and turns, but at the end… Nah, I can’t bring myself to be the ultimate movie-spoiler. You’ll have to see 2030 for yourself. I had no idea human slavery existed today on the high seas until I saw Ghost Fleet, directed by Shannon Service and Jeffrey Waldron. About ten years ago Thai fishing companies began traveling further and further from land – sometimes for months at a time – to reach areas abundant in fish. To staff their boats, they kidnap boys and young men, mostly from rural Thai villages, to work as unpaid labor. These modern slaves sometimes go months or years without setting foot on land, working almost ceaselessly, with very little sleep. They are fed methamphetamines, routinely beaten, and sometimes killed by heartless overseers. Our hero is a woman named Patima Tungpuchayakul, who emerged from a bout with cancer determined to help others. We follow her on a mission to Indonesia, where some of the slaves jump ship. Her goal is to reunite the escapees with their families. Tungpuchayakul puts her life in danger to battle savage fishing companies. 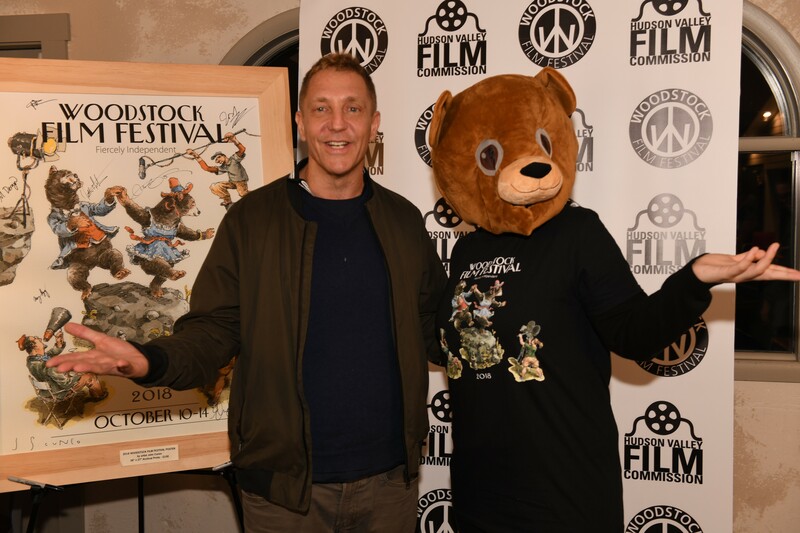 Woodstock Film Festival returns for its 19th year on October 10, 2018.